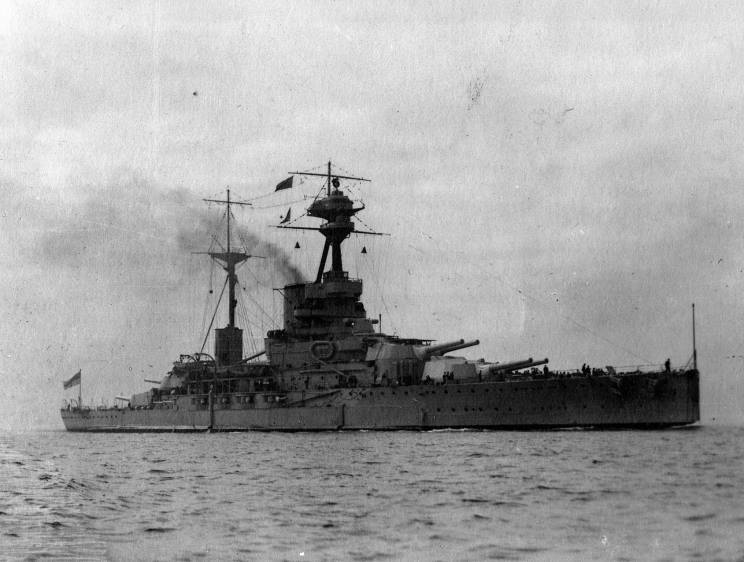 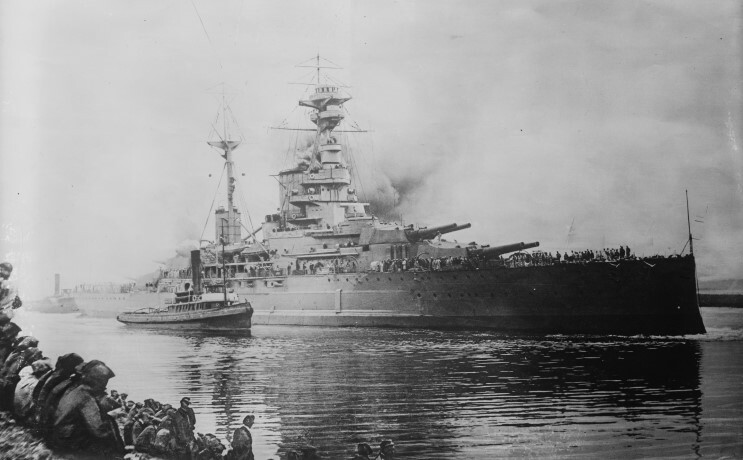 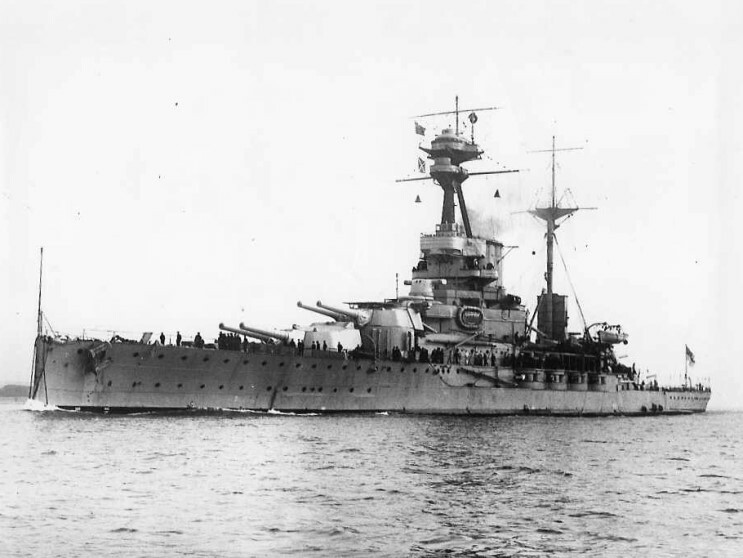 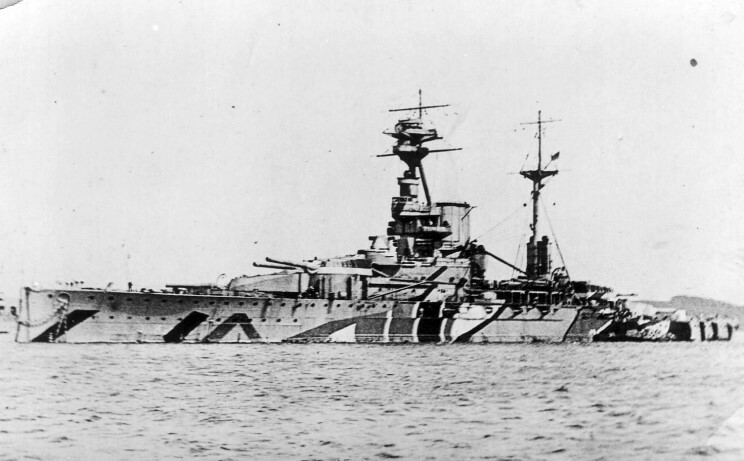 HMS Ramillies, date and location unknown. 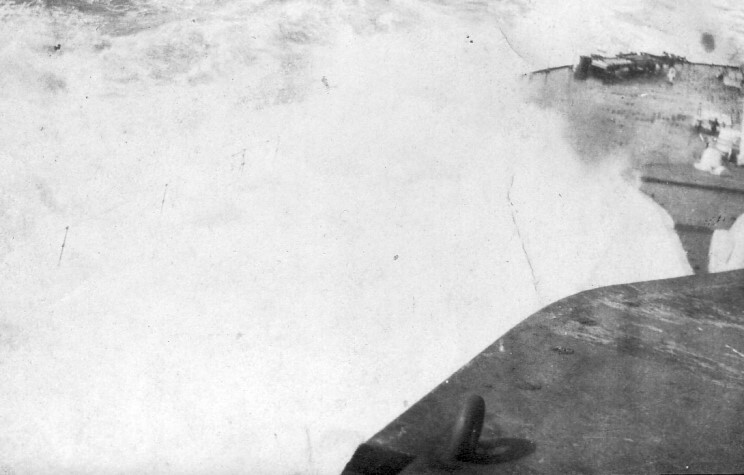 The stern of HMS Ramillies under water during a storm. 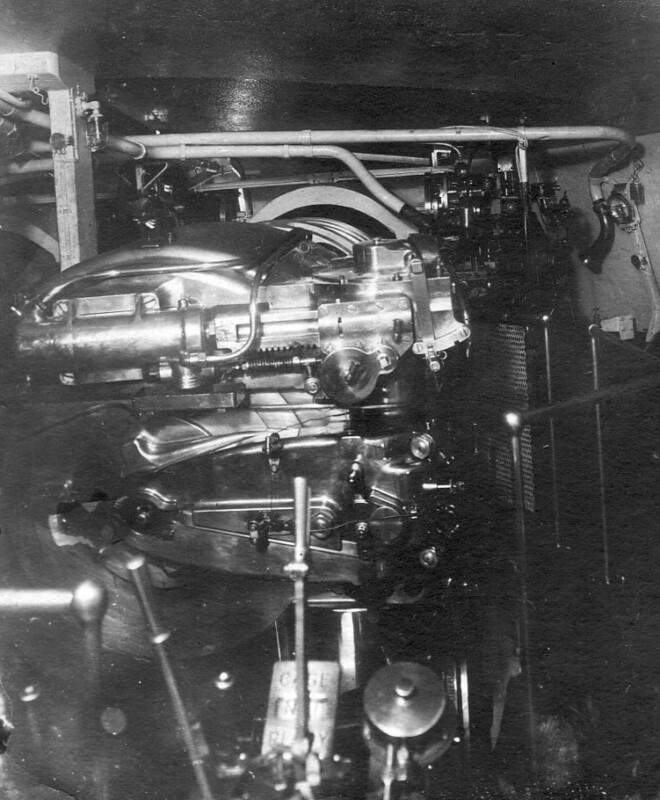 The breach of one of the 15"/42 (381mm) main guns on HMS Ramillies.